Fort Bragg Library has 8 free use public computers. Patrons can check email, job search, print documents, whatever their needs, on the public computers. Each patron is allowed 1 hour of free computer time per day. Black and white printing is 10¢ a page. We are unable to offer color printing from the public computers at this time. Sign-in at the Desk with your name and the time. You will be given a slip with a PIN number. Use the mouse to click on the Available screen then type the PIN number in the space provided. Make sure you have entered the text as it is written then click on I agree. If you get a pop-up requesting a password you have either typed the PIN incorrectly or you have an invalid PIN number. Go back and re-type the PIN or ask at the desk for a new number. Once the PIN has been entered correctly, the screen will take you to the Desktop where you can access the browser via Mozilla Firefox (orange circular icon). Once the browser loads you are online. Respecting intellectual property rights by making only authorized copies of copyrighted or licensed data or software. Patrons must sign up at the front desk for a time slip on the computer. Altering or damaging the configuration of the Library computers. Illegal or unethical use of the computers or Internet. When your time is up, please promptly get up from the station as there may be other patrons waiting. Library computer users must be able to access their computer needs independently of the library staff. Mendocino County Library is committed to making computer technology free and available to the public, but training in computer use is the responsibility of the patron. Children under 12 years of age must be accompanied by a parent or legal guardian to access the Internet. Only one person at a time may use a computer, unless on-duty staff grants special permission. People may not congregate at the computers. There is a 10-cent per page charge for printing. You are liable for all the pages that you print. Accessing or transmitting data or materials that are obscene or sexually explicit. Hate mail, harassment or discriminatory remarks. Transmission of any material in violation of any U. S. or state regulations. 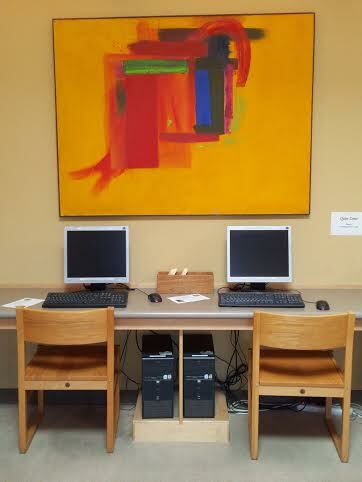 Public computer usage is limited to 1 hour per day per patron. Public computers do not retain information or history compiled during any session. Once the session has ended all history is erased. You must provide your own external drive if you wish to retain any documents or information from a session. The Friends of the Library offer USB drives for a nominal fee. Ask at the Desk for more information. The Fort Bragg Library is not responsible for lost session information. Save your work often in the event of server glitches or power outages. Public computers begin shutting down 15 mins prior to closing. Please be courteous to staff by ending your work and clearing your work space in a timely fashion. The County of Mendocino reserves the right to determine the nature of inappropriate computer use. Please remember this is a Library. Quiet is nice. You must provide your own earphones when sound is activated on any computer. The Library has a limited amount of headphones to lend if needed. Ask at the Desk. Patrons who abuse these guidelines may have their computer privileges revoked on a temporary or permanent basis.